This guide assumes that you, the reader, already have a copy of ZNC installed and configured. The first step of connecting to ZNC is to gather the information needed to do so. The name of the network being connected to. This is the value entered into the Network Name input field when creating a new network with ZNC's web interface. 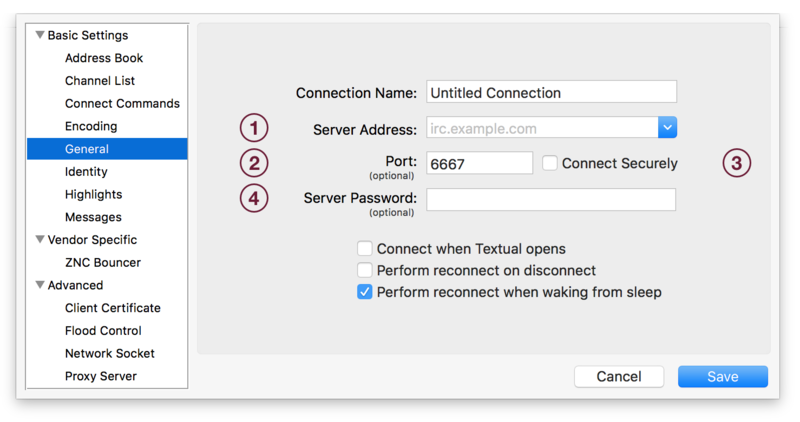 To get started, create a new connection in Textual: Navigate to the main menu in the top left corner of the screen, open the Server menu, then click the item labeled Add Server… when the menu appears. Each number in the image above indicate where you will place the information that has been collected. 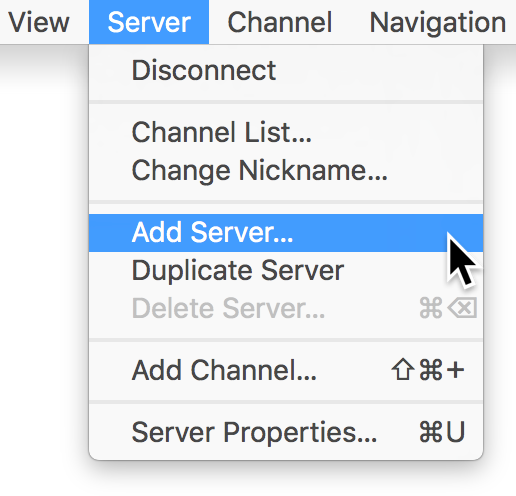 With the Add Server… window still open, click the Identity tab on the left side navigation list. In the field labeled Username is where you will enter your username. The format of this value is very specific: <username>/<network> — The first half of the value is your ZNC username. The second half, which is prefixed with a forward slash, is the Network Name. For example, set the value of this field to John/freenode to connect as John to the network named freenode. 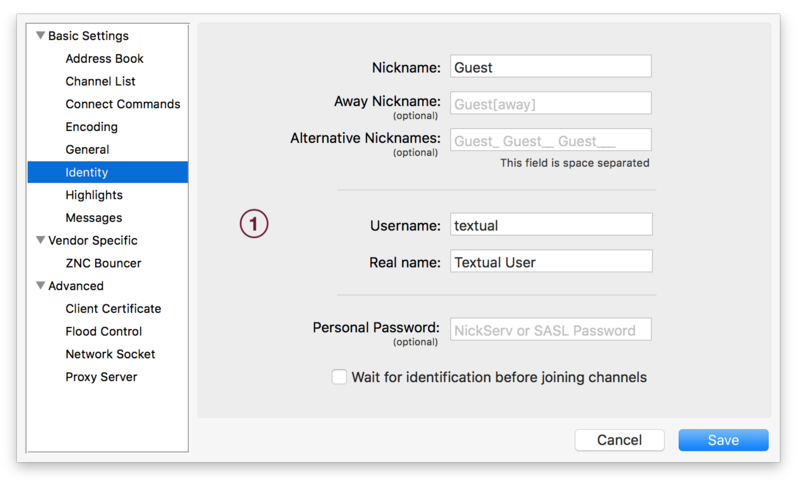 Before you can save, Textual will ask you to configure your Nickname and Real name. Enter any value for these fields. ZNC will ignore what you enter and read its own configuration.